I grew up in Twin Lakes, WI. I started Dental Assisting 10 years ago while going to school for Health Information Technology. I loved Dental Assisting so much, that I never looked back! There are many reasons I love my job, from easing a patient’s dental anxiety to patient education. But building trusting relationships with my patients is the ultimate reward! 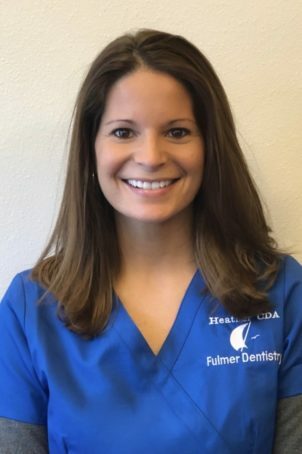 I am very excited to be a part of Dr. Fulmer’s team! My husband and I have two sons and a daughter. We love to stay busy watching their sports (baseball, basketball, football and dance.) Whenever we get a chance we love to head up north camping and visiting with family.